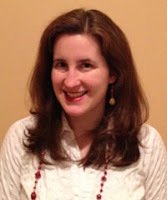 Congratulations to 2011 Fall Flash Fiction Contest runner up, Kira Plummer, and her winning story, "Metamorphosis." You can read her award-winning story right here. Kira is the author of many things, most of which have never seen the light of day. She has managed to publish a few articles in newspapers and trade journals, and she’s overjoyed to have finally had some success in fiction. She slogged her way through a bachelor’s degree in English, had tons of fun getting her master’s degree in the same subject, and now works in corporate communications for a defense contractor. She lives in northern Virginia and doesn’t know what she’d do without her journal, Starbucks, HBO, books by Kazuo Ishiguro, long runs, and most especially, her wonderful husband, amazing son, and network of supportive family and friends. WOW: Welcome, Kira, and thank you for taking a break from writing, HBO, and Starbucks to talk to us about your winning flash fiction story. So, where did you get the idea for "Metamorphosis"? Kira: Thank you! I’m very honored to be included in WOW’s community. You know, I got the idea for this particular piece while thinking about how I needed to stand up for myself more often. I thought, “What if I could learn to do that in stages?” That’s when it occurred to me to write a story about a character doing just that. WOW: We are glad you decided to stand up for yourself and to write this piece. Your story is super short--how many words is this flash piece? How were you able to convey so much emotion in such a short amount of words? Kira: It’s 288 words, and I as I started to write it, I knew that I wanted to keep it very short. That’s because I wanted it to be much like a poem, and pack a powerful emotional punch in a short structure. In this way I took inspiration from Edwin Arlington Robinson’s “Richard Cory,” although that poem has a twist at the end (while my piece develops as you might expect it to). WOW: Why did you decide to compare the girl with the abusive dad to the stages of a butterfly? Such a beautiful and interesting way to tell this story! Kira: Thank you again! And it goes back to that first grain of an idea--to write about a character learning to stand up for herself in stages. Initially, I didn’t envision a dark story – I saw a character giving a lout in a bar a piece of her mind, maybe a well-deserved slap or even a punch. I thought about how she’d do it, step-by-step: “First, I get up. Second, I walk over to him…” Then I realized that the character would be changing as she did this life-altering thing, that she’d be metaphorphasizing, and that’s when I decided to use that metaphor. The parallel appealed to me, partially because I tend to do things in a methodical way, and partially because I discovered that the character wasn’t a sunny sort who would turn into a butterfly but into something else (so in that way, the piece does have a twist). WOW: Thank you for taking the time to explain your thought process for the story to us. So, from your bio, we can tell you've published some nonfiction, but this is your first big success with fiction. Is that correct? What are your writing goals--for fiction, nonfiction, or both? Kira: That’s correct! And truly, I’m thrilled, as publishing some fiction is something I’ve wanted for a very long time. I’d love to build on this by writing and submitting longer short stories and to tackle a full-length work in due time. I also hope to keep publishing in trade journals and to branch out into providing online content. I also have a longer, human-interest article based on the work I did for my master’s thesis that I’d like to find a home for someday as well. WOW: Good luck with all of your goals. We also notice that you love journaling and Starbucks. Do these fit into your writing routine? Kira: They do! I journal regularly, and I find that it really fills my inspiration well. It’s a good way to get in touch with myself, to talk to myself, and having that on-going internal monologue feeds my writing. Other times I use it as a warm-up before I work on a piece, and then Starbucks comes in later when I need to take a break or reward myself a little. WOW: Journaling can often help with writer's block, too, as many of our regular readers have found out with journaling guru, Mari L. McCarthy. And what's a writer without coffee? Too tired to create! (smiles) Anything else you'd like to add? Kira: My sincere thanks to WOW for giving me this opportunity to present my work. I’m flattered to be featured here, especially alongside so many other talented writers. I look forward to WOW’s future publications and to being part of its community of writers. WOW: Thank you, Kira, for those kind words. Congratulations again, and we wish you the most success in the future. Fiction Writing: All About ME!